This week on our #FacingTheIssues post, we talked with Julie Lanahan, a breast cancer survivor and Program Specialist involved with Scholarship and Patient Navigation at UCF, about the issues that young adults with cancer could face while helping their kids and other family members find a “new normal” around the holiday season. It’s difficult during the holiday’s to continue on with the same family traditions with more limited financial resources, school events, and balancing your own personal health and relationships, but not impossible! When it comes to family traditions, families may not be able to keep up with all of their typical yearly holiday traditions simply because they have less time, money and energy. Depending on visiting regulations at your hospital, Julie suggests that you try to have a special celebration at the hospital, if your support team allows. Ask Santa nicely to come to the hospital for your kids, rather than home, if you’re inpatient, or will be undergoing any treatments that day. If you’re coping with a cancer diagnosis, you may not be able to attend your child’s holiday school functions as usual. While grandparents or other family members can always fill in, parents not being there could still have an effect on children. Julie suggests having someone attend and tape the function. You can then have your own private viewing party at home and make it really special for your close family, kids, and even friends, if you’re up for it. She also suggests going to a rehearsal of the play, or a practice for the game, if you feel better on one of those days. That way, you won’t be around as many people, and it’s in a less formal setting, while still showing your kids that you’re there to support them. She explains that you should just do what you feel like you can do. If you wake up in the morning and feel good, go. Explain that you may have to leave early depending on how you start to feel as the day progresses. Be as honest as possible, at whatever age level; allow them to relate to you. If kids are worried about what you will look like to others, role-play at dinner. Have them be empowered and tell the story to their friends if they ask. Julie had her kids practice during meals what they would say to friends if someone asked, “why doesn’t your mom have hair”. She said it was really helpful, for both sides, because if her son said he would beat the kid up, she could coach him through a better way of handling the situation. Mounting medical bills, reduced income or changes in work schedule could lead to fewer holiday celebrations or gifts, which kids may eventually notice. Again, be open tell them to be realistic with their wish lists. Focus on the magic of Christmas and just being together, rather than gifts and the stresses of getting to every holiday party. “They are still mounting”, says Julie, with a slight giggle. She advises that the first Christmas will be a little tight. She shares that her and her husband agreed to not give each other anything that year, to save some money, and says that it did help. Focus on kids and the magic of Christmas and just being together, rather than gifts and the stresses of getting to every holiday party. Look into different organizations, such as The Ulman Cancer Fund. Speak with your navigator or social worker or even groups at church. Most importantly: Don’t be afraid to look and ask for help. Simplify. A good way to cross off one stress on your list is to have kids write thank you notes rather than Christmas cards. Julie says with all the help she had, she wanted to thank people for all they had done. It was a nice gesture to have Christmas cards printed and her kids write things like “thank you for helping my mom ________”, and how much that had helped their family. If your kids aren’t old enough, have friends address them for you, and then all you have to do is send them out. If you do have kids old enough, start a new tradition and have them address the cards and younger kids can even stamp the envelopes! Because of your cancer treatment schedule or health situation, long-distance travel to visit family may not be possible. For more on traveling with cancer during the holiday’s… see last weeks #facingtheissues post. Imagine you are just living your normal day-to-day life. You are juggling a million things at once. Taking this kid to soccer, taking another to dance, taking another to piano, cooking dinner, cleaning the house, paying bills, etc. You get the idea. Life can get so hectic at times, but you’re always juggling these things. These are all things in your life in plastic balls. Then, you’re diagnosed with cancer. All of a sudden, these things are not what are running through your mind at all. The day-to-day activities you once thought of as ‘normal’ are no longer normal. Sometimes it is hard to get out of bed every morning. Suddenly you find yourself juggling your health, your relationship with your partner, and getting through that next treatment. 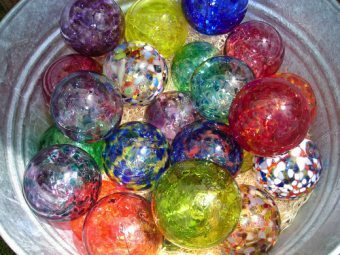 Imagine that these are the ‘balls’ you are juggling and they are made of glass. 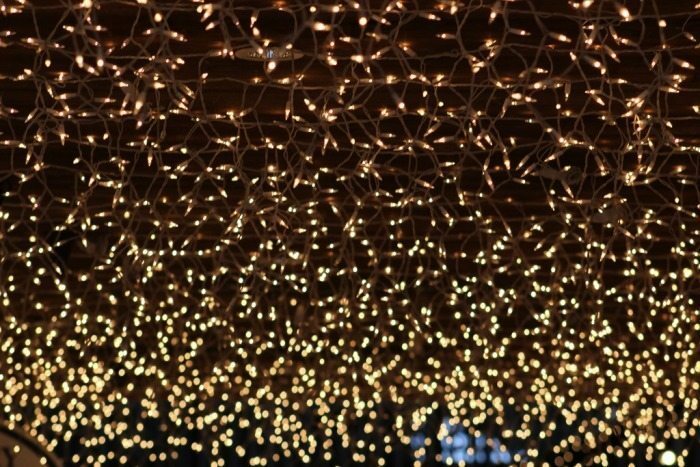 With a cancer diagnosis, you need to remember that your only job is to focus on the things in the glass balls. If you drop one of the plastic ones, what happens? They will bounce around a little, then settle on the floor, and stay there until you are able to pick them back up. If something is not in a glass ball, it is not a pivotal piece of me being on this earth, and you can afford to let it go for just a while. Don’t drop your glass balls. Julie says that she wishes she had heard this earlier in her life. It taught her to live in the moment, and appreciate the little things.